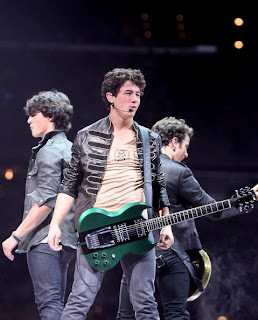 Today, the Jonas Brothers kicked off their World Tour in Texas! Not many pictures or videos are up yet. But she will NOT be at all of them. She is filming her movie. But yeha, I'll post more videos tomorrow!